If you live in Apple Valley, MN and are in need of a windshield repair or replacement, Auto Glass Express can help. Our professional auto glass technicians are skilled and professional, and will travel to Apple Valley to fix your windshield or other auto glass issue. 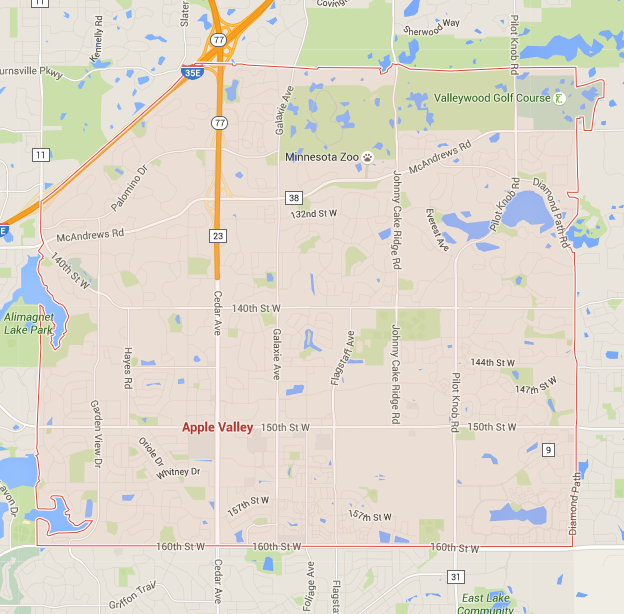 We can come to your car in Apple valley with our mobile windshield service. Auto Glass Express has over 20 years of experience in the windshield repair and replacement business. Auto Glass Express is also an AGRSS certified company. This means we use strict safety and installation standards to ensure the best work. Auto Glass Express will call your insurance company with you, and help you file a claim. Then, we will schedule a time for us to come to your car. We service all makes and models including BMW, Mercedes Benz, Lexus, Audi, Cadillac, Volkswagen, Infiniti, Jaguar, Acura, Lincoln, Porsche, Range Rover, Chevrolet, GMC, Buick, Honda, Toyota, Nissan and Volvo. Auto Glass Express spends a lot of time repairing and replacing windshields in Apple Valley, after all it is the 18th biggest city in Minnesota. From the Minnesota Zoo, to Apple Valley Freedom Days, we love being a part of this community. Schedule an appointment below or call us at 651-494-9252.